Significantly, academic writing is an official type of final or entrance exam for many schools and universities. It doesn’t matter what the subject area is, you have to write an essay to pass the exam. 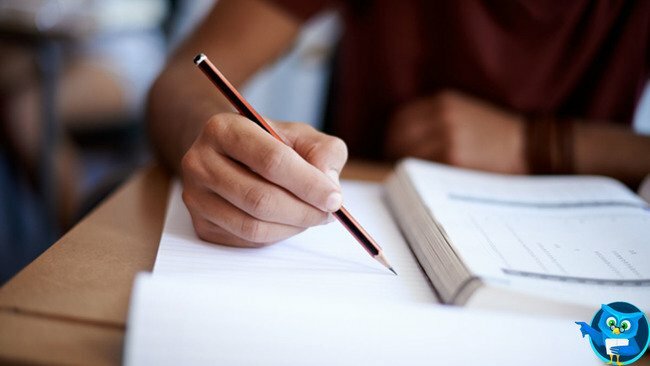 We explain you what is the difference between popular types of essay. Our essay classification guide is here to help you. Any genre of composition suggests freedom of creativity. It could be any topic, and it could be written in any style, about anything, because composition is your way of thinking about what you have heard, read, and seen. Writing argumentative essays is extremely useful, as it allows the author to clearly and correctly formulate thoughts, structure information, increase analytical skills, win the arguments, and to master the scientific style of speech. An Essay is a prosaic piece of writing not particularly long and free composition that expresses individual views upon a particular case or problem. There are many different types of written composition, here you may check the list of the most widespread formats. This particular type of assignment consists of five paragraphs. An introduction, three parts of the body and a concluding part you may find among them. A Thesis statement is the core of the introductory paragraph. The first paragraph has to contain a "reverse hook", in other words, the strongest argument of the whole text. The second is used as a transitional part between the previous and the third one. The last paragraph contains the weakest argument and concluding hook that shows the reader that this is the last major statement in the composition. The fifth paragraph is an element of the text that includes the conclusions made in the three upper paragraphs. This format is used to learn more about the students’ reasons for applying to the course, university or company and your ability to benefit from and contribute to it. The purpose is to convey a sense of your unique character to the admissions committee. This type of paper can’t be called the best-written essay for students because, with this piece of writing, you have to ensure the potential readers that your personal position has merit, in other words, this is more accurate and complete than competing arguments. Cause and effect compositions are related to which factors things are caused and what the effects of these reasons are. Cause and effect is a general method of organizing and discussing ideas. A writer organizes examples that fit into categories. The most important thing during the writing process of such papers is to find the necessary categories to classify things properly. The adjective "critical" in the nomination describes the author’s point of view when you read the article. This subjective point of view can be described as "detached evaluation," meaning that the writer weighs coherence of the reading and completeness of the data prior to accepting or rejecting it. A critical composition or review begins with examination of the text and proceeds to the critique of it. Anyone can write an informative essay, but not everyone can make it deductive. This is a college format to calculate the students’ knowledge. In other words, deductive reasoning is a phenomenon including a set of circumstances and previous statements that one can draw a reasonable assumption as to the state of the situation. The objective of this text is to describe a situation or event, as well as express a certain (author’s personal or public) opinion about it. Expository writing, or exposition, presents a subject in detail, without criticism, argument, or development. The author clarifies a subject by examining it. The focus of an exploratory essay is a question, rather than a thesis. The student starts writing without the ending in his mind. It doesn’t matter whether he or she knows the subject or not. The purpose of this writing is to improve one's way of thinking. It is a less formal statement than a free expression of opinion. This is entertaining, in other words, the informal qualitative composition has an unconstrained style but retains a solid structure. Do not worry about how to sound academic but avoid carelessness. This a paper that tells a story that is based on the author's personal experience. This format is the best chance for the author to express his own opinion according to any question concerning him. As it is a story it has to contain all structural elements of storytelling: plot, character, setting, climax, and ending. This peculiar type of paper which aims to grab the reader’s attention from the very first paragraph. The composition should represent people who you intend to interest in your point of view. Just as in the argumentative article, persuasive assignments must always sound reasonable and demonstrate solid evidence by stating facts, giving logical reasons, using examples, and quoting experts. If you are well informed about your topic, your persuasive paper will succeed. Research essay's are a type of persuasive composition, but for those who got tired from somebody’s solid opinions and citation. The expert’s thoughts are taken into account, but it is developed by the author. It is a presumption of personal experience and topic requirements. To get the highest grade for the text, you need to mention everything, and everyone that influenced you, your views, and what characterizes you. When writing a composition, it is important to determine the topic, desired length, and goals of each paragraph. Begin with the main idea or a bright phrase. The only task for different types of essays is to grab the attention of the reader immediately. A comparative allegory is often used here when an unexpected fact or event is associated with the main topic of the essay.